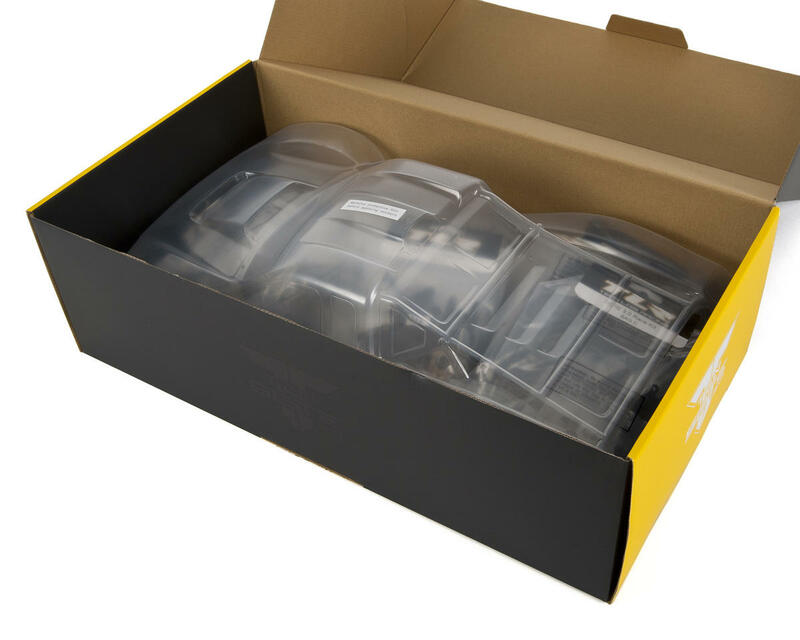 The Losi TEN-SCTE 3.0 Race Kit takes the dominant TEN-SCTE platform to the next level. 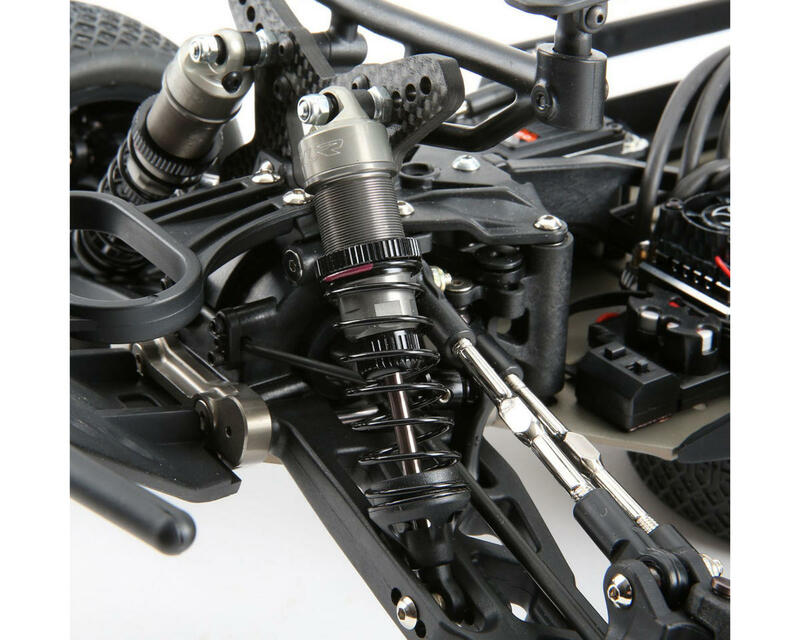 With the TEN-SCTE 3.0 kit, TLR engineers started with the championship-winning 2.0 and refined its suspension geometry to be optimized for all track conditions. These refinements also make the truck easier to drive. Other changes include center driveline adjustability and the inclusion of parts that were considered optional on the SCTE 2.0 kit. Champion Pedigree: The TEN-SCTE platform's extensive list of race wins includes the ROAR Nationals. 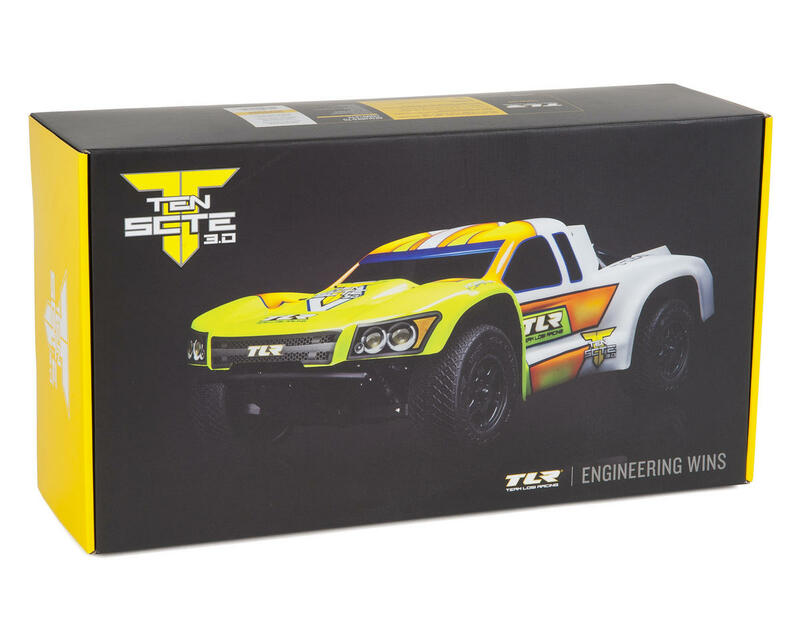 The TEN-SCTE 3.0 kit builds on this heritage by giving racers yet another superbly engineered SCT. Adjustable Center Driveline: The motor and center diff can be mounted at an angle or in line with the chassis, allowing adjustment of the power bleed between the front and rear drivetrain. Mounted at an angle, the power bleeds evenly front-to-rear and the truck will drive out of the turns harder from point to point. 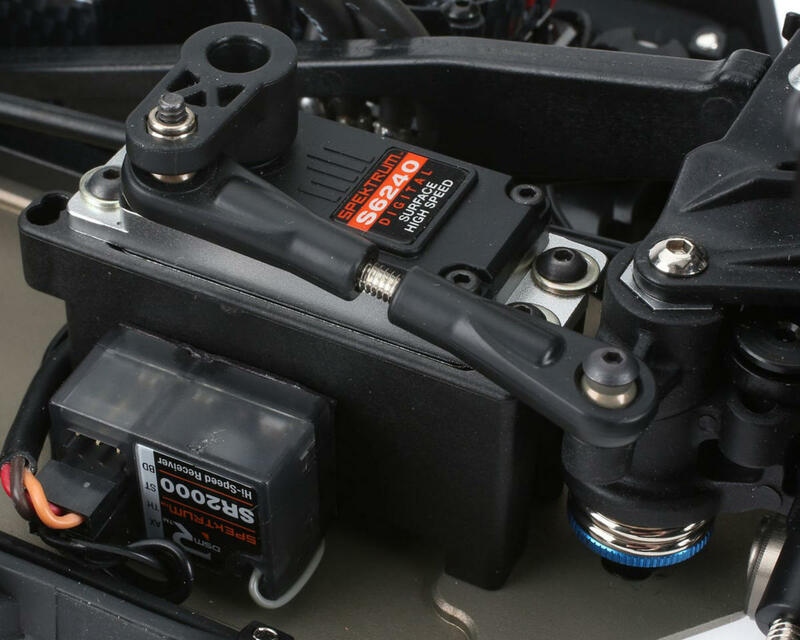 Mounted in line, more power bleeds to the rear, giving the truck more aggressive on-power steering. 22™ Platform Shocks: Gen II platform shocks reduce overall weight and lower the CG. Machined shock internals, X-rings, TiCN shock shafts and aluminum bleeder caps provide a smoother, more consistent shock. The truck lands better, jumps better, corners quicker and has a lighter, more nimble feel. Dog-Bone Center Drive: The center dog bones provide less friction than CVA-type driveshafts, allowing for easier front-to-rear power transfer. This smooths out changes in power delivery, making the truck easier to drive. Popular Tuning Parts Included: Many parts that were previously considered options come standard on the TEN-SCTE 3.0. 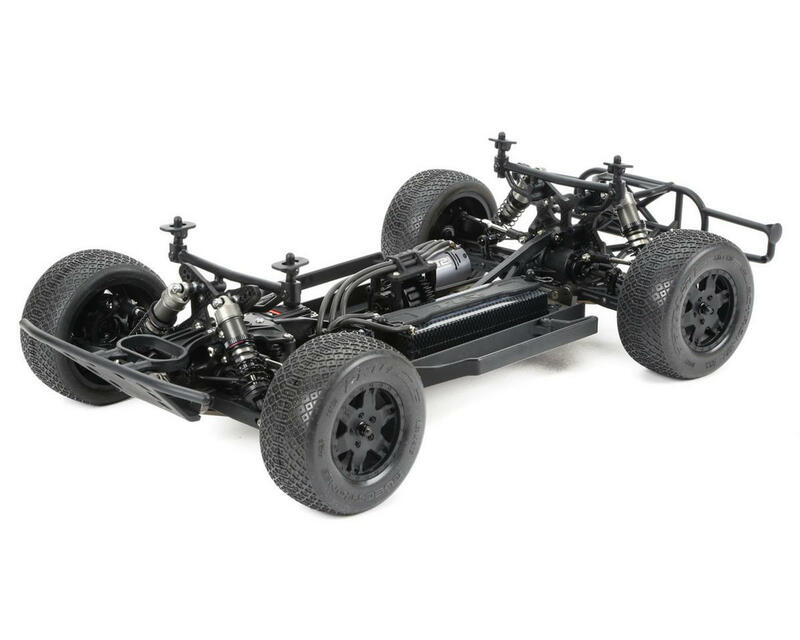 These include a chassis that is 3mm shorter, 22 platform shocks, a dog-bone center driveline, 15° caster blocks, hard-anodized aluminum suspension balls, a 2.3mm thick front sway bar, lightweight outdrives, and adjustable aluminum front and rear pivots. CNC-Machined Aluminum Chassis: The lightweight chassis is machined from durable 7075-T6 hard-anodized aluminum and is 3mm shorter than the stock TEN-SCTE 2.0 chassis. The shorter chassis makes the 3.0 a nimble truck that changes direction quicker and exits turns harder. It also makes it easier to drive fast and lower lap times. Carbon Fiber Shock Towers: The ultimate in performance and durability, carbon-fiber shock towers save weight and help lower the CG. Hard-Anodized Suspension Balls: To keep the suspension links smooth and free of slop, hard-anodized aluminum suspension balls are used throughout the truck. They are lighter than their steel counterparts and the hard-anodized coating keeps them from wearing so connector fit is always perfect. Lightweight Outdrives: Lightweight, CNC-machined outdrives are used throughout the truck. This makes the entire drivetrain lighter so drivers enjoy quicker, more responsive acceleration. 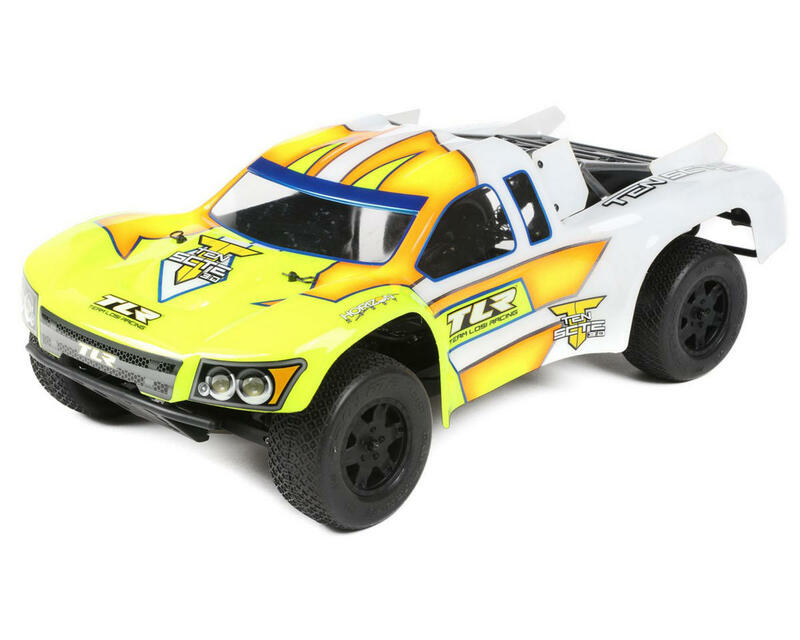 High-Performance TLR® Body: This incredibly popular body is back for the 3.0. Made from durable 1.2mm polycarbonate, it delivers all the downforce needed to corner fast and stay in control when flying down the straights. During jumps, air under the body is channeled through strategically placed vents so the truck is more stable while airborne. Finishing the body is easy thanks to its pre-cut wheel wells, bumpers and edges. About all that's left to do is cut the vent holes and apply the paint scheme. I've built a lot of kits and this is one of the best kits I ever built. Very nice kit. This truck handles great right out of the box! I own several Traxxas trucks my family uses for bashing and we love them. However, I bought this kit because I wanted to build a truck that I could use strictly for racing. I really enjoyed building this kit. The quality and fit of the parts was amazing. Instructions are well illustrated in a nice book and are easy to follow. All hardware is supplied with nothing missing. Screws were fine with no stripping. The kit does use a combination of standard and metric screws which was a pain but not a show stopper. Would recommend TLR go to using all metric to make it easier on the user. The additional bag of extra tuning parts was a bonus. The best thing about this kit is there is nothing that you need to upgrade. It is the total package in my opinion. I am extremely happy with the truck!!! Best 4wd SCT on the market hands down. Takes barely any set up, super easy to drive. Light, nimble, amazing handling. My favorite RC I've ever owned. Won alot of A Mains with this truck! Excellent model with excellent behavior on the track! Very stable and fast! 6 of 22 customers found this review helpful.